What are women experiencing in yoga? I have had a fair share of requests/queries regarding the recently published article by William J. Broad in the New York Times. 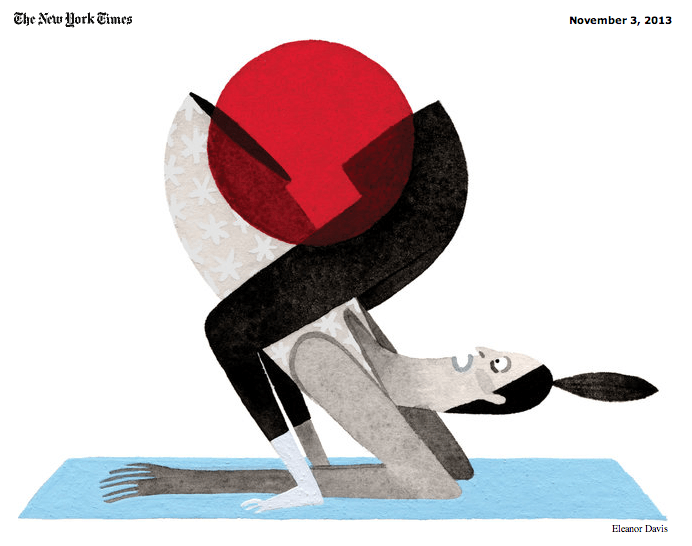 The article was titled Women’s Flexibility Is a Liability (in Yoga). Once again, he has provoked a strong response from many in the yoga community. I can appreciate that in the first paragraph, Broad describes the many benefits that he has experienced and witnessed from yoga; this is a departure from the last article which almost caused a riot. After his last article, I did buy and read his book, The Science of Yoga. I actually recommend that all of you read it as it has some really good information in it backed by very good research. Perhaps this is a result of editing in today’s information overloaded world and the need to get some eyes on your articles. I honestly don’t know. For instance, when Broad states “hundreds of women who did yoga were showing up in their offices with unbearable pain and undergoing costly operations…” did anyone think to ask if they happened to do any other activities? Were they exclusively yoga practitioners? Just for a start. Is it possible that, with their genetic make-up, any activity they did, say, run for 10 years would or would not end up resulting in them having a similar problem? For me, these are all logical questions to ask and inquire about. I am not sure why these questions are not being asked. These questions were also not asked in his last article. There was no relativeness between yoga injury and injury from other activities that are popular. I pointed this out in my response to that article by quickly googling and finding stats for injuries of the most common physical activities that people partake in. By leaving out these questions, relative facts, and figures, we all just get upset and essentially want to ignore what Broad is (I think) trying to say. I think he is trying to point out to all of us that yoga is not all rainbows and lollipops. As great as yoga is for us and as positive as the results are that we do receive from doing the physical part of the practice, we also need to be mindful that there is a potential for injury. I think most of us know that already. After all, it is a physical activity. On the hips specifically: I have personally met people who practice yoga that have needed hip replacements. This goes beyond any one style of yoga. What usually comes to light in those cases is that there is an underlying misshapen form or angle in the joint itself. That particular shape would more naturally lead to wear and tear on the joint surfaces. Pain deep in the socket. Specific positions that feel like something is pinching or stuck. 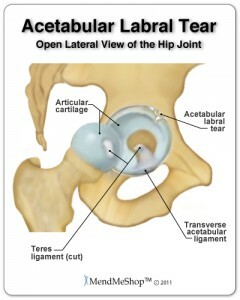 The hip has its own additional piece of cartilage in the socket called the labrum. It’s similar to the meniscus in the knee. It can tear and lead to inflammation and long term arthritis. I wonder if people are experiencing problems that are already there or if it is being created by the yoga? Is it even possible that doing yoga puts people in touch with an underlying problem? What do you think? After all, doing an asana practice definitely puts us closer in touch with the feelings and sensations in our bodies. I commonly interact with people at two places in their practice. One is when they can’t do something they want to do and they want to know why or how. The second is when they have an existing injury or they have recently injured themselves. This is where people want to know what’s going on and this is a good thing. I have to agree with both of these guys. We shouldn’t blow off pain. At the very least we should be asking what we are doing that is causing it. After all, pain is the body’s way of asking you to PAY ATTENTION to some thing or some area of your body. Yes, sometimes it can be the yoga! More importantly, we should ask ourselves how we’re going to approach things differently so that we don’t make them worse. We should be using our own meta-cognition and intuition in these moments. Please, pay attention to what’s going on. Yoga is not a magic pill that cures everything. What did you think of the latest William Broad article? Did it make you want to pay attention or ignore it? David, I appreciated your response to William Broads latest article especially since you read his book. We should not ‘blow off ‘ pain. Broad’s book has now been printed in 14 languages and so it is true that people are wanting to explore and understand the ‘science’ behind yoga. I am the yoga teacher Michaelle Edwards who was mentioned several times in the New York Times article for my work with yoga injuries and the creation of YogAlign. As a massage therapist and an instructor who is strongly rooted in globalized anatomy when I teach, I do appreciate reading your anatomically fused articles and posts. However no matter how much we study or discuss the parts, we need to remember that man made up the names of those parts in order to study the body . 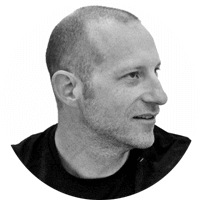 In reality there are no parts and my work involves asana that allows the body to be in natural positions that support the body’s global nature. In analyzing the body, no part moves in isolation and asana needs to evolve to include this physical reality. For instance many times spine integrity is sacrificed to get into the ‘correct’ shape of a pose. The right angle chair shape is the best example of this because as yoga teachers, we all can see how much sitting in chairs has affected our students and sabotaged our natural upright posture. And yet yoga asana is full of this very same right angle templates and extreme spinal flexion poses that do not honor the curving nature of our structure. In the process of doing these right angles and forward bends, we destabilize our joints. A physical therapist recently told me that she sees mostly yoga teachers with hip and joint problems and felt that was probably because they do more yoga than most students. We cannot ignore the need to evolve yoga asana when some of our most knowledgeable teachers like Judith Lasater, Dharma Mittra, George Purvis, Mary Dunne, and Beryl Bender have hip replacements. People argue that there are congenital hip issues etc but might it be that compressive yoga poses is in fact adding extra pressure on delicate hip joints? We need to stop believing that yoga asana is some kind of sanctimonious practice. It is time to evolve this practice before more people get hurt in the long run. Staff pose being considered the mother of sitting poses is an oxymoron. Making your body into a linear right angle position is a clear example of not paying attention to the natural way our body is designed. We need to stop stretching the ligament forces that string the curves of our lower back, spine, knees, and feet if yoga injuries are to be avoided and eliminated. In order to do that, yoga asana should evolve away from right angles, straight lines and actions that are undermining the forces that keep our body connected with curves and springs that support movement. WE are not made of linear right angles like static buildings that do not move. We are living tissue and all of organic matter in nature is made of curves and spirals. Imposing these right angle templates on our human body is the source of yoga injuries and when taught by inexperienced teachers and overzealous practitioners, asana becomes the perfect storm for joint dysfunctions an injuries. Injury numbers are much higher than we can statistically prove because the practice of yoga does overlap into all the activities of our life and because yoga is not regulated. If it was, many yoga teachers would lose their license to teach doing adjustments considered ‘normal’ in yoga teaching such as leaning body weight onto people in forward bends. We age by going forward and compressing. Why do so many yoga poses engage these same compressive forces? Who says that wringing and twisting the organs are good for them? 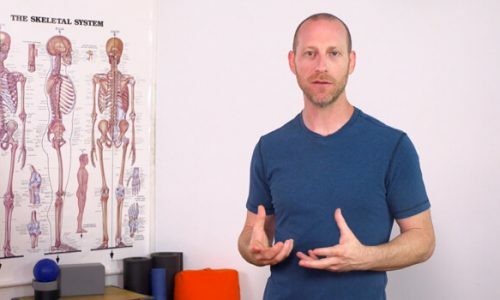 There are so many anatomical ‘myths’ in yoga asana that could be causing harm in the longterm and we need to evaluate, research and discuss these ideas. 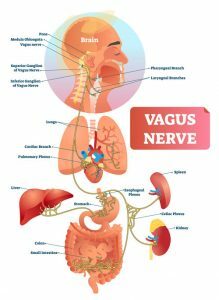 Is yoga asana actually serving the biomechanics of our body in daily life? Just leaning over with both knees straight to do forward bends breaks all rules of what a physical therapist learns from 5 or 6 years of intense study of the human structure. Why does yoga get a hall pass to ignore the anatomical truth that we should bend our knees deeply when we do forward bending? This would allow our gluteus and leg muscles to engage to support the load of our trunk going forward rather than making our spine bend in ways that creates enormous pressure loads on our discs? I think that downplaying Broad’s message by saying that the yoga injury statistics are low compared to other activities makes no sense. Yoga is a healing art and certainly not a competitive sport and since yoga is not regulated, there is no actual data about injuries that are correct or reliable. The other issues is that only acute injuries get reported if at all since many of the injury reports are based on emergency room visits. Chronic injuries from years of practice do not get reported and here is where most of the injuries are happening. What Broad reported are women with CHRONIC hip injuries that occur over a period of time from repetitive strain, loss of joint stabilizing forces due to over stretching, and also compartmentalized training of the abdominal muscles to work as flexors. This happens anytime we do a straight leg seated forward bend and ask our spine to bend instead of our knees. Any discussion of the biomechanics of yoga poses rather than the messenger is much appreciated. I have a website called http://www.yogainjuries.com where anyone injured can take a survey to be published in the next year. This will give us a baseline as to how and why these injuries are happening in the long or short term. We cannot gloss over the importance of understanding yoga injuries by saying statistics are low. Thank you so much for responding to the post. You bring up many points that are important for discussion. Some of them do go beyond the scope of this particular post and article. I do think it is important to have discussions about this subject matter. I am open to having that discussion here openly or initiating it between each other on email and then posting it here or on a new series of posts for the community to see. We can use your comment as a jumping off point for a series of questions that we can go back and forth on. I found this article very interesting as well as Michelle’s extensive response in regards to her own personal beliefs and practices surrounding “correct” yoga practices for practitioners and teachers. My own practice is rooted in Mysore Ashtanga, which gets a lot of flack for being too rough on the body and for having harsh adjustments. I believe part of the problem that is coming from yoga and injuries is stemming from not having a personal relationship with your own body and taking ownership over your practice. A teacher is there to lead and guide your practice as you are prepared to take it further (remember that asana is just one small part of a yoga practice) but they cannot feel what you are feeling in a pose. Perhaps if students were more communicative about their own experience in a specific asana there would be fewer injuries. A teacher can’t presume to know exactly what a student is experiencing. Some people’s bodies will respond well to deep forward folds while others won’t. Perhaps instead of contemplating adjusting yoga asana for ALL those who practice it we should instead stress the importance of being present during your practice and not progressing into asana your body isn’t prepared for. Adjustments can then be made for those who are in need of them and practitioners won’t be pressed into asanas they’re not prepared for. Additionally I don’t find five teachers out of hundreds and thousands and perhaps hundreds of thousands of teachers needing hip replacements too alarming. Injuries come, pain comes, whether it is from a sedentary lifestyle or an active one. I agree with your point, David, that pain should be acknowledged and managed instead of pushed aside. I can’t think of any physical practice that can better teach a practitioner this kind of mindfulness than yoga. In short, we should be more mindful of our own bodies and take more responsibility and awareness into our personal practices. Teachers are guides through many different limbs of yoga (again, asana is just ONE limb) and we should be an active partner with them in that process. To do that we need to not give over all of the responsibility for our safety to a teacher who does not know what we feel as we do. One can find a great practice in non-attachment and confronting the ego by altering their practice around an injury, it shouldn’t just be left to the teacher or abandoned because of doctor’s orders. Again, there’s more to yoga than just the hips and the asana.